Select colors from any location on the screen. 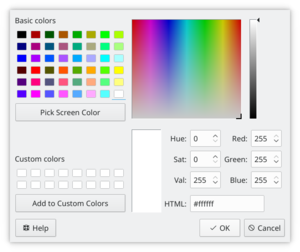 Select colors from a range of standard palettes available, including web colors and named colors. 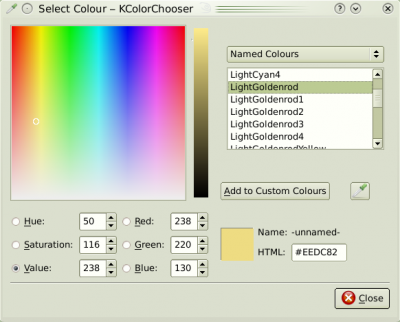 Color values are shown in Hue-Saturation-Value (HSB), Red-Green-Blue (RGB), and HTML formats.